Any excuse to come here. I always have great fun!! The staff are so attentive and really take care of you. The entertainment is great every time. Thank you for so many memorable nights!! We are a small club from Alhaurin de la Torre, and a few of us plus two friends from England decided to have an evening out at Valparaiso, the Italian evening was on and we all had such a great night, and the price was excellent, we could not fault the whole evening !! Das Hollywood von Mijas - Eine Show nach der anderen Wir waren in Mijas. Es ist nicht fassen. Das Valparaiso bietet eine Veranstaltung nach der anderen. Wenn es nicht die 'Jersey Boys' sind, dann ist es das 'Rat Pack', die '3-Divos', die Event-Tenore, andere berühmte Tenore aus Málaga, Flamenco, Ferrari-Konzentration .... es ist einfach immer etwas los. An den Tagen, an denen es mal gerade keine große Veranstaltung gibt, werden abends Live-Musik und Tanz geboten. Ich kann es bestätigen, denn ich wohne ganz in der Nähe. Viele berühmte Filmstars haben das Restaurant besucht, wie man auf den vielen im Restaurant ausgehängten Bildern sehen kann. David Beckham, Sean Connery, Demis Roussos, Charlton Heston. John McEnroe, Luciano Pavarotti, Vicente del Bosque, Sergio Scariolo, Gennaro Gettuso, Jarno Trulli etc., und das RTL drehte auch gerade eine seiner Serien dort. Wow! Auch die stets freundliche Bedienung trägt dazu bei, dass man sich im Valparaiso sehr wohl fühlt! El dueño,. un crack, te recibe en la entrada y está pendiente que todo el equipo, numeroso, te haga sentirte cómodo. Al final incluso nos obsequió con una botella del vino que habíamos pedido ( y era un rioja reserva). En estas fechas está ambientado al efecto con un gran árbol navideño y decoración típica muy acogedora. Estuve un viernes y ese día actúa cada semana un tenor que canta muy bien piezas conocidas de ópera. Más tarde se puede bailar en una pista música de los 80-90. La comida está bien y el sitio es el idóneo para una cena romántica . "Thank you for an enchanting evening. We drove past a couple of evenings and we were enchanted by the magical lights. We knew we had to pay your beautiful restaurant a visit. We never bargained on this wonderful experience. Excellent food, service and entertainment. 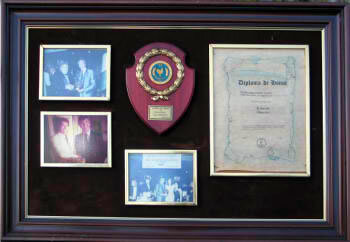 We will have many more stories to tell about your wonderful place"
"It was a fantastic evening in your superb restaurant which was enjoyed by everyone who was fortunate to be there. The menu, ambience and special attention given by your staff to the guests, was as always of the highest standard. We continue to receive compliments by many of those who were present"
The Valparaiso has something for everyone! 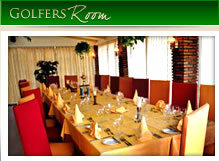 If you are a Golfer, our private room is absolutely perfect for Golfing Reunions & Events. At the Vaparaiso we have a perfect venue for your Office Party! 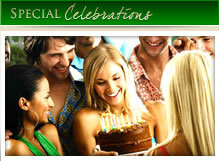 With seating for up to 300 people, we can cater for parties of any size. 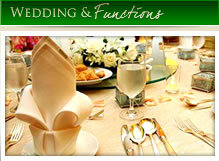 Weddings & Functions are our speciality and our years of experience allow us to work to your budget. Whatever you are looking to celebrate, a Birthday, Anniversary or just a special day, we can take care of everything for you.